Video & Photography: UNLA video dept. 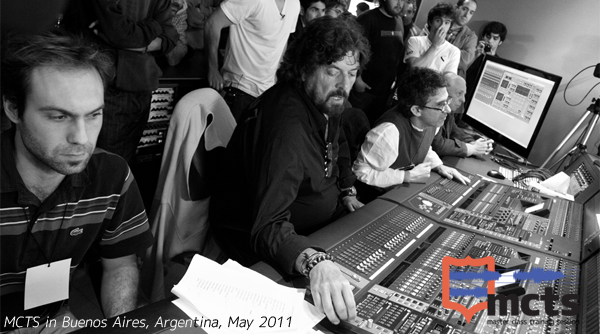 Alan Parsons records Buenos Aires alternative rock band Vaqueros Paganos in a single day, from tracking to a mix, in a purpose-built live studio at BA’s Universidad Nacional de Lanús. 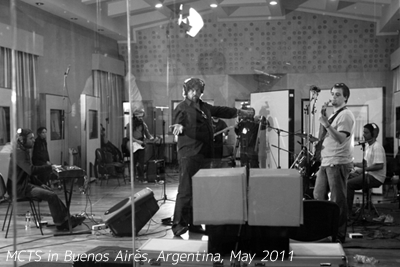 Buenos Aires alternative / grunge band Vaqueros Paganos grew out of a collaboration between musicians and singers Diego Pagan and Clara V with tone-bending keyboard player Perry, Coco on bass and violin, and Bocking on drums. Their intriguing influences range from Sonny & Cher and Nancy Sinatra & Lee Hazlewood to Nirvana and Alice in Chains (via Leonardo Favio, obviously). Their evocative lo-fi sound blends acoustic folk attitude and male and female vocals with electronic and ambient textures. 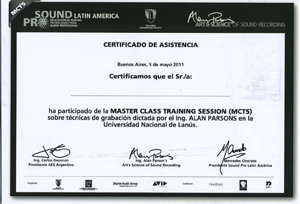 10.00–11.30 Playback of demo, placement and set up of musicians and mics in the studio. 12.00–1.30 Recording the basic tracks. 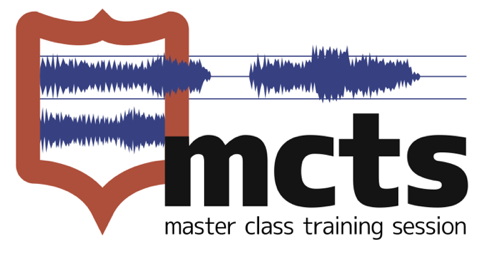 Please join the discussion in our MCTS: Buenos Aires forum.